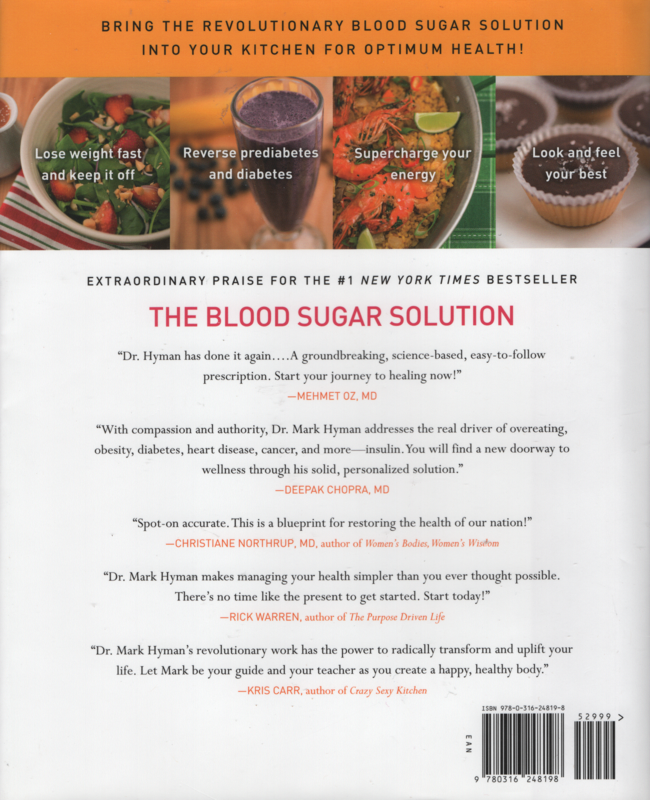 In THE BLOOD SUGAR SOLUTION COOKBOOK, Dr. Mark Hyman shares recipes that support the BLOOD SUGAR SOLUTION lifestyle. In 1900, only two percent of meals in America were eaten outside the home; now it is over fifty percent. Dr. Hyman calls for readers to take back their health by taking back their kitchens. The major culprit of diabetes, obesity and heart disease is insulin imbalance. Following Dr. Hyman's scientifically based program for rebalancing insulin and blood sugar levels, this cookbook presents 175 delectable recipes that are free of allergens and harmful inflammatory ingredients. Readers will exchange toxic factory-made foods for nutritious and easy-to-make dishes such as Chicken Satay with Peanut Sauce, Mexican Shrimp Ceviche, Tuscan Zucchini Soup, Raspberry Banana Cream Pie Smoothie, Chocolate Nut Cake, and more. 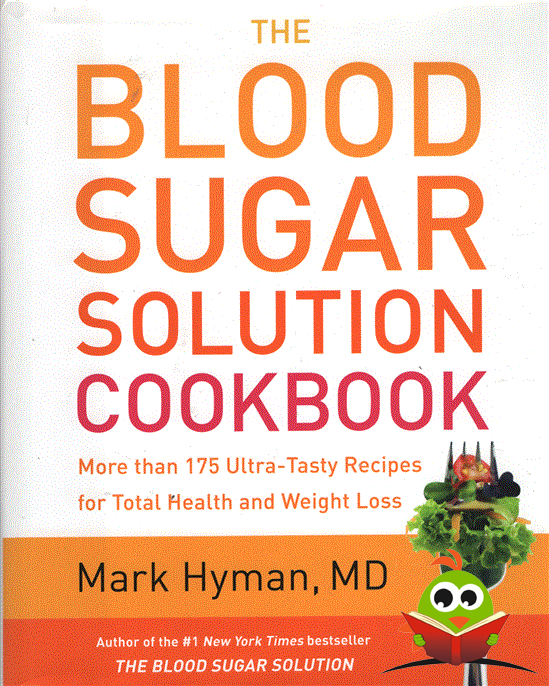 THE BLOOD SUGAR SOLUTION COOKBOOK will illuminate the inner nutritionist and chef in every reader. Hardcover. Geen breuklijn op de rug. Gekneusde kaftpuntjes. Randen van de stofomslag zijn iets gekreukt. Pagina's egaal geel.